Stop setting S.M.A.R.T. goals. Instead, follow these steps to help you make both your business and personal life better, which you actually enjoy the process, not just the destination. Increase your reach and multiply your impact in just minutes per week. Identify your ideal future client and build relationships with the people to help you earn their legal work. Stop wasting money on conferences and tradeshows. 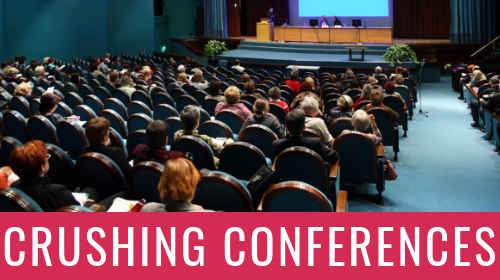 Here is how to choose the right conferences and maximize your return on time and money.